itBit is a financial services company that caters to both financial institutions and individual investors. It features a complete set of products that cover the blockchain technology vis-à-vis the traditional capital markets infrastructure. Using the products it forwards to clients in the Bitcoin ecosystem, itBit enables everyone to begin trading their preferred assets at any time they wish while on a secure and trustworthy platform. itBit’s professional approach to these financial services reflects its expertise in the field. Although it has only been a few years since this company entered the market, it has already broadened its services by upgrading existing products and introducing new ones designed for user-friendly and sophisticated solutions. The itBit trading services and the latest product Bankchain are the two primary products offered by this company. 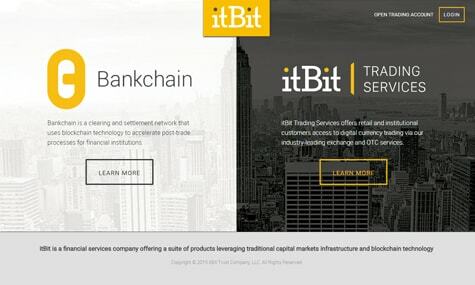 Under the trading services are the itBit Bitcoin exchange and the itBit OTC agency trading desk. Why patronize itBit trading services? 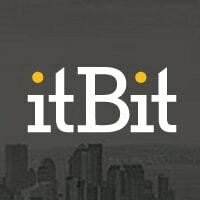 Amid the sea of Bitcoin exchanges already operating and servicing users from the world over, the Bitcoin exchange developed by itBit remains a name not to be missed. It is equipped with competitive characteristics paired with professional tools to keep all kinds of investors’ trading experience convenient and fruitful. The itBit Bitcoin exchange is perfect even for beginners since it functions as an easy-to-use platform for selling and buying bitcoins. This is further complemented by itBit’s real-time trading optimized for multiple currencies, specifically the US dollar, euro, and Singapore dollar. Guiding investors in their contracts is also a responsibility initiated by the company. With its spot-on real-time market data, custom Bitcoin market research, and thorough analysis, investors are assisted to making the right decisions in trading. Moreover, US Bitcoin traders can find a peaceful setting on itBit, thanks to the FDIC insurance and full Bitcoin asset protection on board. In addition, the company demonstrates its flexible offers by providing terms that put the high-volume Bitcoin traders at an advantage. Meanwhile, traders interested in large block trades of over 100 BTC can avail themselves of the services forwarded through the itBit OTC agency trading desk. Different from the trading services that await itBit customers, Bankchain promises near-instant settlement that contributes to the reduction of counterparty risks. This also enables institutions to have larger capital on hand while also presenting positive effects like the transparent transaction records, modern financial processing of requirements, and reduced oversight spending for legal and audit processes and expenses. Making Bankchain all the more useful and truly innovative is the nod it received from the New York State Department of Financial Services.